NAILS executive editor Beth Livesay, cover model Ciara Pisa, cover tech Sigourney Nuñez, and art director Yuiko Sugino. Cover tech Sigourney Nuñez is a familiar face to NAILS readers. 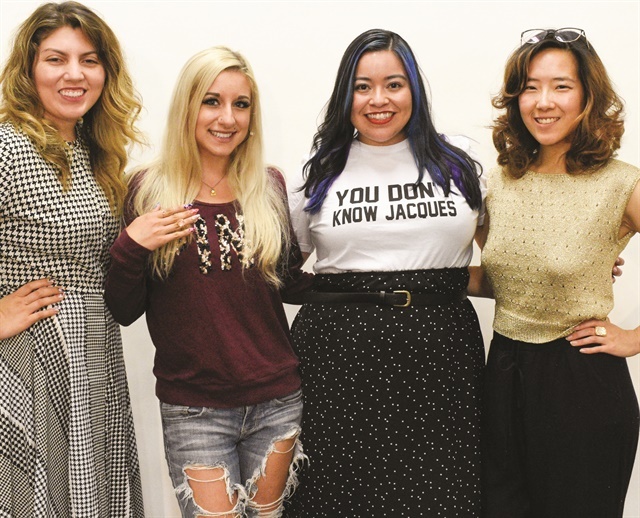 The newly named North America education manager for OPI got her start in the nail industry when she began working at NAILS Magazine and contributing to the Salon Fanatic blog in 2014. In 2016, the nail art enthusiast turned blogger (@nailartbysig) attended nail school and got her license. As a working nail tech, she has done nails for runway shows, photo shoots, and salon work. 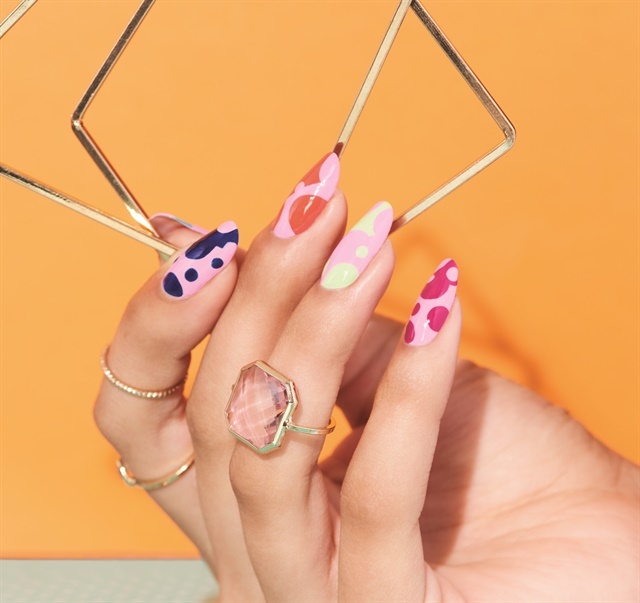 Her NAILS cover features OPI’s Tokyo collection for spring 2019, namely the hero shade Another Ramen-tic Evening, a dusty pink that takes on new tones. The art was inspired by Japanese artist Yayoi Kusama. 1. Apply one coat of OPI Infinite Shine Primer to properly prepped nails. Add two thin coats of Another Ramen-tic Evening. Cap the free edge and allow each coat to dry. 2. Paint half the nail using a diagonal stroke with Chopsticks and Stones. Use a detail brush and Chopsticks and Stones to paint large circles, and a dotting tool to paint small circles. 3. Repeat using Another Ramen-tic Evening. 4. Once dry, apply one coat of OPI Infinite Shine Gloss. Cap the free edge.